The expansion will double the size of the winery's storefront. CLE Urban Winery, located at 2180B Lee Road, has expanded into adjacent space. The expansion will not increase the size of the public tasting room, but will enable the winery to increase its on-site production and storage space. “Everything is going very well for us, and I am ready to take the next step,” said Destiny Burns, owner of the winery. Currently, Zagara’s Marketplace in Cleveland Heights carries some of Burns’ wines, as do the Wine Mill in Cuyahoga Falls and The Fix Bistro on Lee Road. In mid-March, Burns hosted an open house for representatives of restaurants, catering firms, museums and other event venues, to encourage them to tour the winery and taste the wines. 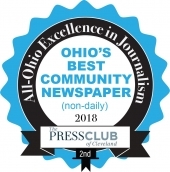 CLE Urban Winery won the Best New Business award in the 2017 Best of the Heights Awards, and Burns’ North Coast Syrah won a gold medal in the 2017 Great American International Wine Competition’s Shiraz/Syrah category. James Henke, a Cleveland Heights resident, was a writer and editor at Rolling Stone magazine for 15 years. He is also the author of several books, including biographies of Jim Morrison, John Lennon and Bob Marley. 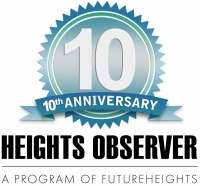 He is on the board of FutureHeights, and is co-chair of the Heights Observer Advisory Committee.